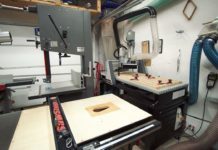 Do you need really nice tools or expensive tools to woodwork? No, of course not. 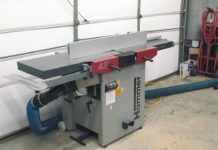 There is a common misconception in the online woodworking community from people just getting started and interested in woodworking that it takes a huge amount of money to do woodworking. You don’t need really nice tools or expensive tools to create awesome pieces of furniture. 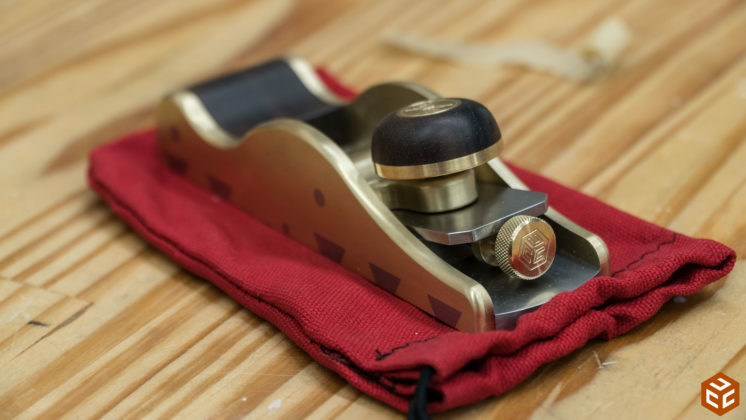 I started woodworking with the mentality of “tools are just tools.” But as time progresses I’m more intrigued by tools with a greater level of engineering, craftsmanship in design and assembly, and overall quality. Think of it this way; your daily commute to and from work is two hours long. Driving is something you do on a regular basis and consumes a decent chunk of your life. You started your job driving a 15 year old pickup truck. It does the job just fine. 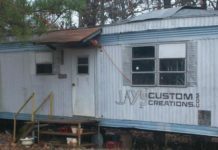 But as time progresses you upgrade to something like a 3 year old sedan that is a little more efficient, comfortable, and has a decent paint job. That’s the path I’m currently on except this particular new tool has a killer paint job and a crazy amount of horse power. 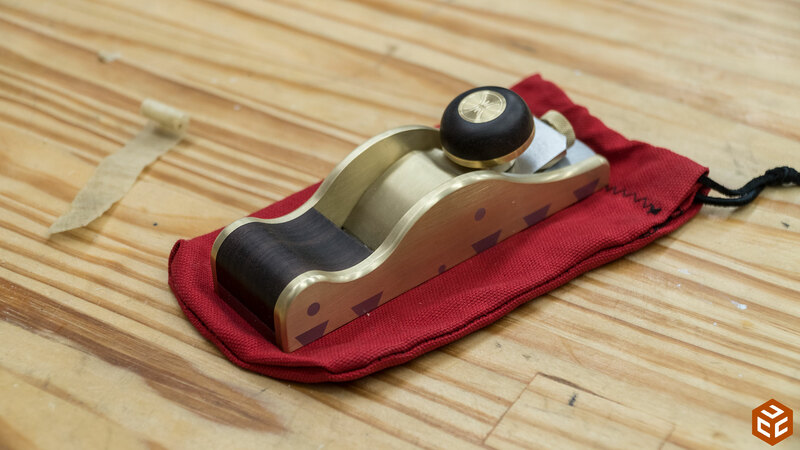 Sometime in 2016 I followed his progress of making a custom infill block plane. He did a heck of a job on it. That plane was for the MakerCast giveaway so he didn’t keep it. 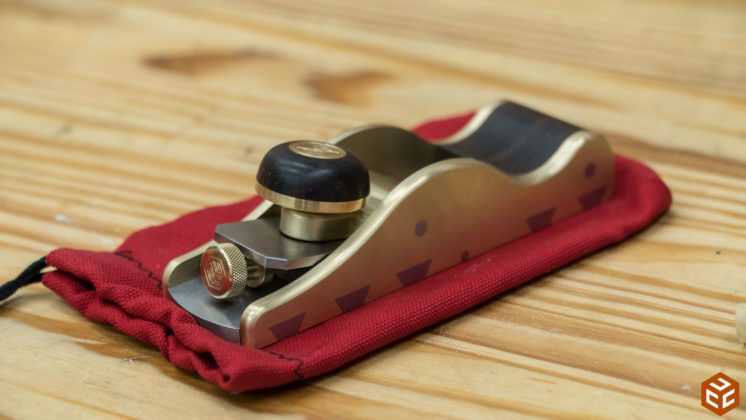 A little bit after that he announced on his Instagram page ( <–another link) that he was going to make 16 more of the infill block planes to sell. It was around Christmas time that he started accepting payment on them so I jumped on the opportunity to get one as a Christmas gift to myself. The fit and finish of the plane are top notch. He even engraved my logo on the depth nob which was a very nice touch. The sides and base are dovetailed together. The blade did not come sharpened which makes sense. Everyone likes to sharpen differently and possibly to a different angle. The blade was easily sharpened and held an edge very well. I don’t recall what steel was used for the blade. The ergonomics of the design are much better than my Lie Nielson rabbeting block plane. That’s no knock to my Lie Nielson as it is a really nice tool as well. The Hillview feels to be about the same weight but is a little bit smaller than the Lie Nielson. The lower overall height and the lower front thumb grip on the Hillview result in better ergonomics and therefore is much easier to use in my opinion. It just feels more natural and more like a glove during use than the Lie Nielson. The wood pieces flow seamlessly into the metal and are flawless. It’s worked very well on everything I’ve tried it on. For clarification; this is not a paid endorsement. I purchased the tool with my own money. I was not given the tool in exchange for something else. I was not asked to write this. In today’s high-output manufacturing society it is very easy to overlook and not appreciate true craftsmanship and quality. As time passes I become more and more appreciative of the “little guy” or entrepreneur who is creating items that far surpass the quality of mass produced items. 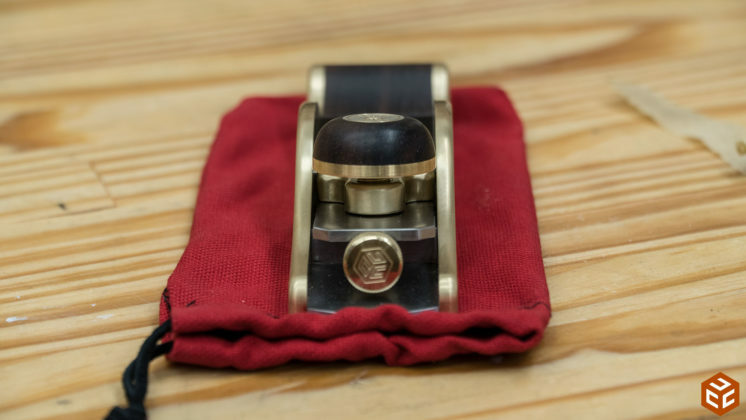 And being able to get a quality item from a craftsman while at the same time directly supporting that craftsman by purchasing their product goes a long way in continuing the growth of that craft. And it makes me feel really good. I’m not saying we should all boycott mass manufactured items like a table saw or bandsaw. There is a definite need for those. But we should definitely slow down and smell the roses occasionally. There’s a lot of really great ones out there that you don’t even know about yet. I like the smaller size very much. My WoodRiver low-angle block is a quality tool, but it’s big for my hands. Say…would you mind posting a link to Tony’s Instagram page so I can check out his work on Instagram? That little plane reminds me of the Easter eggs that Peter Carl Faberge made for the Russian royals. Beautiful and functional. WOW VERY NEAT, I WILL CHECK HIM OUT. Beautiful and functional – perfect combination. An amazing piece of precision work! Thanks for sharing it. As a beginning wood worker (in my old age) I still want to buy tools that will never limit my skills and can go to my grandkids one day. Too many beginner videos suggest tools I’ll have to replace in a year or two. Must be a sweet spot somewhere. Thanks for your YouTube channel. Really beautiful work and something to treasure. Are they available to buy and price? Very cool. And the music closing is BACK!